The bustling fish quay gives the impression today of a thriving port, yet it is a pale reflection of the trade and relative prosperity of Looe in the past, when East and West Looe between them returned four members of parliament. Medieval Looe had five of its own ships in the wine trade with Bordeaux by 1310, but later it declined and most of its trade until the nineteenth century was small and varied, including iron, tin, lead, fish, fish-oil, wine, soap, cloth and canvas, corn and tobacco. There was also much activity carrying sea sand and lime for inland soil improvement. A rapid growth of the port followed the opening of the Looe Canal in 1828, serving the various mines and quarries north of Liskeard. Subsequent discoveries of copper ore, re-opening of the lead mines and new granite quarries brought a flurry of activity, so much so that the wharves had to be extended in the 1860s. Looe shipped out granite from the quarries near Minions, initially brought by railway to Moorswater in Liskeard and transhipped onto the canal, then later by rail all the way when the canal was filled in. It was despatched to London to construct Westminster Bridge, and all along the south coast to build forts, docks and breakwaters. Nowadays, Looe harbour is the base for an important fishing fleet and the town is also the headquarters of British shark-fishing. A long harbour arm (the "Banjo" pier) protects the east side of the mouth of the Looe river from winter storms and gives safe passage into the harbour for returning craft - the west side is naturally protected by the rocky river bank and coast line. Looe Harbour Commissioners are a statutory body who own and run the Looe Fish Market and the surrounding Harbour area. The Harbour area is mainly used for fishing related industries including fish merchants and ancillary fishing support businesses. 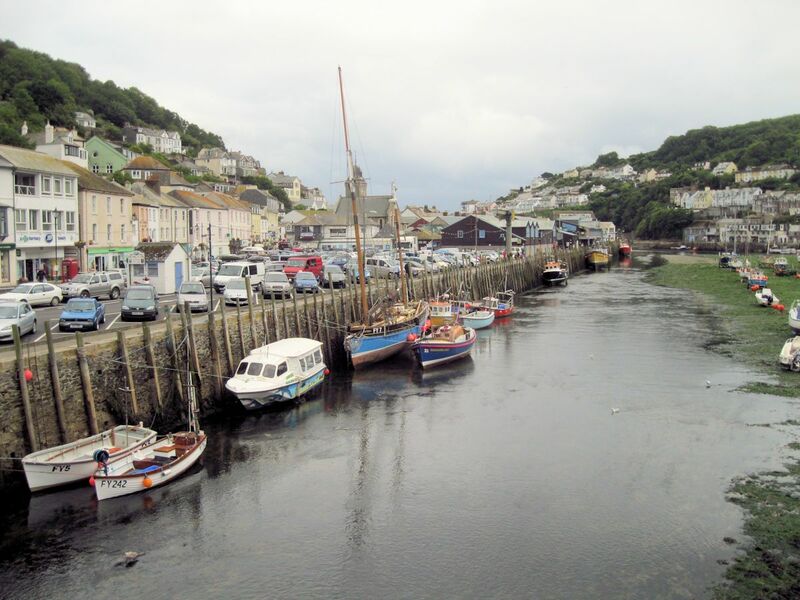 All maintenance and upkeep of the market and Harbour is the responsibility of Looe Harbour Commissioners.